Mysterious sounds coming from the region of the Canadian Arctic were reported by hunters from the village Igloolik. The village is located 75 miles from the Fury and Hecla Strait. The Guardian reported that the hunters described hearing strange beeps and pings and that the animals typically in the area had been scared off by the sounds (1). 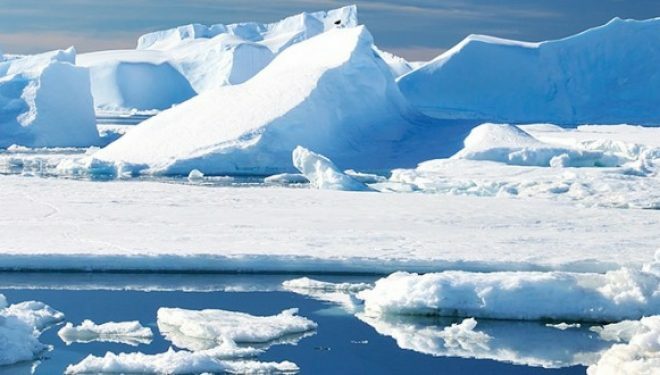 What Is Causing Strange Sounds in Arctic? The Internet hummed with all types of theories about what these odd pinging and beeping sounds could be. Ocean scientists generating low frequency sounds from a location farther north. Environmentalists using a device to scare off animals to prevent hunters from killing them. There have been other theories floated that were examined more closely, such as a US naval scientific project known as Canada Basin Acoustic Propagation Experiment (CANAPE). The project’s objective is to track and assess changes in the sea ice and how it affects acoustics. The team uses low frequency sounds and any changes in acoustics can identify submarine activity in the Arctic (2). The theory that CANAPE was responsible for the odd sounds was shot down by Scripps Institution of Oceanography at the University of California. Peter Worcester, head of the project, stated that CANAPE is used to generate sounds north of Alaska. Those frequencies can only travel a few hundred kilometers. He explained this distance is too short to reach the Fury and Hecla Strait. Worcester told Ottawa Citizen that even if they could generate stronger/louder CANAPE signals, they still wouldn’t reach the Fury and Hecla Straight since they’d be blocked by the Canadian Archipelago islands (2). The Ottawa Citizen reported that in October 2016, Nunavut’s legislative assembly member, Paul Quassa said the sounds appeared to be originating from the sea floor. Later in November 2016, the Ottawa Citizen reported that the strange ping sounds had been investigated by the Canadian military. Prompted by a Nunavut government request, a Canadian military CP-140 Aurora aircraft set out on a mission to survey the Fury and Hecla Strait. Yet, when the Aurora surveyed the region for 1.5 hours, the crew never detected “any acoustic anomalies”. David Pugliese, writing for the Ottawa Citizen, reported that Department of National Defense (DND) spokesman Dan Le Bouthillier stated that the crew saw two whale pods and counted six walruses in the area. No one implied that the sounds reported by the hunters were being generated by these animals. In fact, the crew was unable to detect any sounds. As a result, the DND closed the case and stated there were no plans to further investigate. Did Scientists Discover the Source of the Pings? No proof of the sounds doesn’t necessarily equate to discovering the source. There seems to be the assumption that the sounds the hunters reported were nothing more than moving ice. Strange ice movement sounds have been reported as far back as the first Arctic explorers. The sounds were dubbed, “Devil’s Symphony”. But with all these types of sounds being rather common knowledge, wouldn’t experienced hunters be able to discern the difference between the normal types of sea ice movement and the odd sounds they reported? And, wouldn’t an investigation of such possible sounds warrant more than 1.5 hours of surveillance? Yet, the DND officially closed the case. What do you think? yes, they didn’t want to find the source of the sounds.